As part of the Mountain Collection, Chalet Hotel Micolau offers free ski guiding and coaching with fully qualified Mountain Expert ski and snowboard instructors. Various sessions run throughout the week to introduce you to the ski area and improve your technique along the way. Skiers and snowboarders wishing to take part need to be over 18 (or 12 in school holidays) and be good enough to ski down blue and red pistes. You can sign up for the sessions at the chalet on your first day in resort. The Micolau is one of the oldest buildings in Arinsal, but you wouldn't know it from the funky décor. Local stone and solid wooden beams are accentuated by brightly coloured feature walls and contemporary furnishings to create a fun and relaxed vibe. The small bar (which doubles as the dining room) is decorated in the same kind of style and becomes a real focal point after the slopes close. Grab a drink and a slice of cake whilst catching up with friends and family about your day's exploits on the mountain. After freshening up, head to the dining area for a filling and hearty three-course evening meal, complete with complimentary wine. 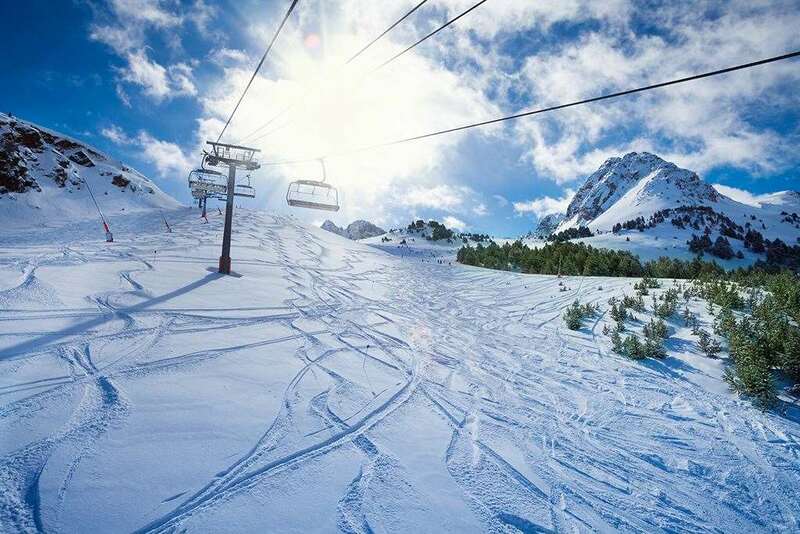 You couldn't be in a more central location within Arinsal. There's a huge choice of bars and restaurants on your doorstep, literally! The (soundproofed) Derby Bar is next door and the Comapedrosa bar is almost opposite. Walk a little further around the corner and you'll be at the main Arinsal gondola. It's around a one-minute walk from the hotel. You'll find plenty of services at the top of the gondola too. Your pick up any rental ski or board kit from there, pre-booked ski school meets there and even a creche for families looking for childcare. It also makes a good meeting point for your group at lunch. Being virtually tax-free means lunches are very reasonably priced in Arinsal. The Micolau is the perfect choice if you're a group of friends or family (or both) looking for a laid-back, friendly holiday with great value and superb hospitality from your hosts thrown in. This is one of our cosiest chalet hotels, but at the Micolau, cosy doesn't mean small as each of the nine bedrooms is a nice size with plenty of storage for your luggage. All rooms have more funky colours and comfy beds plus a flatscreen TV, free Wi-Fi, hairdryer and minisafe. There's also a full ensuite with over-bath shower and wc.